An emaciated child on the street in the Warsaw ghetto. As one of the first steps in the Nazi plan to murder the Jews of Europe, the German authorities ordered the concentration and segregation of Jews into ghettos. Jews from smaller communities were transported into the ghettos of nearby towns and cities. The large number of people and the limited available space and resources resulted in severe overcrowding, starvation, and disease. Though meant to be only a temporary arrangement, the ghettos, under the governance of the Judenrat (Jewish Council), usually contained some semblance of community, including medical services and religious, educational, and cultural activities. The ghetto occupants tried to live as normal a life as possible, but harsh German directives regularly hampered these efforts. Ordered to surrender their homes and their belongings, and forced to supply labor to the German war machine, the Jews were exploited and tortured while they struggled to survive. Survival, unfortunately, was short lived. The Nazis ultimately deported countless Jews to the extermination camps under the pretext of “resettlement.” A smaller percentage were sent to labor camps or concentration camps. Resistance, when it occurred, showed limited success. The following bibliography was compiled to guide readers to selected materials on ghettos that are in the Library’s collection. It is not meant to be exhaustive. Annotations are provided to help the user determine the item’s focus, and call numbers for the Museum’s Library are given in parentheses following each citation. Those unable to visit might be able to find these works in a nearby public library or acquire them through interlibrary loan. Follow the “Find in a library near you” link in each citation and enter your zip code at the Open WorldCat search screen. The results of that search indicate all libraries in your area that own that particular title. Talk to your local librarian for assistance. Note: There is a separate annotated bibliography highlighting resources on the Lódz ghetto. Catalog from an exhibition held at the Holocaust Resource Center and Archives at Queensborough Community College from October 7, 1996 through June 30, 1997. Reviews the ghettoization of Jews as a step in the Nazis’ “Final Solution.” Briefly looks at the rationale behind the ghettos along with their construction, operation, and ultimate liquidation. Provides a list of major Eastern European ghettos, in addition to maps, illustrations, and suggested readings. Uses a variety of sources, including numerous diaries and memoirs, to provide a history of the Eastern European ghetto system as a whole. Includes chapters discussing the Judenräte (Jewish Councils), daily life and society in the ghettos, and Jewish resistance. Extensive bibliography included. Provides an overview of the history and development of the ghettos in Eastern Europe under the Nazi regime. Briefly describes conditions in the ghettos and their liquidation. Reviews the ways by which ghetto occupants received food, including smuggling, the average amounts and types of food the residents had to eat, and the use of ration cards or ghetto script. Focused specifically on the ghettos in Poland. Presents of artwork, poems, songs, and other pieces by the author’s fellow prisoners at Theresienstadt. Uses archival source material to provide historical summaries of the various ghettos and camps established in Poland during the Nazi occupation. Includes essays on the history of Polish Jewry during the Holocaust. Collection of essays chronicling various aspects of Jewish life in the ghettos. Includes articles on the creation and development of the ghetto system, resistance efforts, and the role of theater and art in ghetto communities. Contains an extensive bibliography and index. A detailed study of the Judenräte (Jewish Councils) in the ghettos of Eastern Europe. Describes their organization and administration, outlines their economic, judicial, religious, educational, and cultural activities, and analyzes their work in support of the public welfare. Closely examines the Councils’ relations with the German authorities and their role in organizing deportations. Includes maps, charts, illustrations, extensive notes, and an index. Supplemented by two appendices. Memoir of a Holocaust survivor. Recounts the author’s childhood in Kovno, the city’s Russian occupation, the German invasion, life in the ghetto, its liquidation, the author’s deportation to a number of concentration camps, and his activities after liberation, including service in the United States Army. Catalog from an exhibition of historical photographs of the Kovno ghetto by George Kaddish, shown in the Rotunda of the Russell Senate Office Building, April 27 - May 1, 1987, on the occasion of Yom Hashoah (Holocaust Remembrance Day). Companion book to the exhibition by the same name presented at the United States Holocaust Museum from November 21, 1997 to October 3, 1999. Features numerous photographs, original documents, and drawings from the exhibition. Includes essays describing the German assault on Lithuania and daily life in the ghetto. Documents the history of the Jews of Kovno from the first stirrings of war to the liquidation and destruction of the ghetto just days before the city’s liberation. Presents the first-hand accounts of eighteen survivors of Kovno, including the photographer whose images form the heart of the documentary. Memoir of a Holocaust survivor. Details the author’s experiences during the Holocaust, such as life in the Kovno ghetto, its liquidation, and his deportation to Dachau, while also providing historical background information. A day-by-day chronicle of the Kovno ghetto written from 1941 to 1944 by the secretary of Kovno’s Jewish Council. Incorporates official documents, Jewish Council reports, and photographs and drawings made in the ghetto. Personal narrative of life in the Krakow ghetto by a Jewish man ultimately saved by Oskar Schindler. Variegated with poetry and drawings created by the author. A collection of 24,000 registration records created in the Krakow ghetto in July and August 1940. 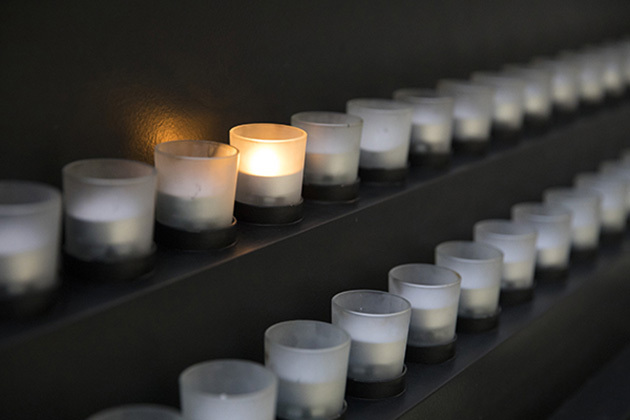 Arranged alphabetically and bound into thirty-eight volumes by the Registry of Jewish Holocaust Survivors at the United States Holocaust Memorial Museum. A recorded collection of song-poems by the great Yiddish poet, Mordecai Gebirtig, that were set to music by several different composers. Based on poems written while Gebirtig was imprisoned with his family in the Krakow ghetto. Includes informational literature with detailed annotations and complete lyrics in Yiddish and English. The autobiographical account of one Jewish woman’s struggle to survive both inside and outside the ghetto. Chronicles her journey out of Krakow, into Lvov, and back, when she voluntarily smuggled herself into the sealed ghetto in order to rejoin her sisters. Recounts their move into the Plaszow camp and their miraculous survival under difficult circumstances. Provides a first-hand account of Krakow ghetto events through the eyes of a non-Jewish Polish pharmacist allowed to remain in the ghetto until its liquidation. Details daily activities with intimate knowledge of the lives of the inhabitants and guards. Presents twenty-nine previously unpublished accounts of life in the Warsaw Ghetto, pulled from the archives of the Jewish Historical Institute in Warsaw. Includes stories from ghetto residents of all ages and a variety of occupations. Provides brief biographies of each contributor and maps of the ghetto. The secret diary kept by the chairman of the Warsaw Judenrat (Jewish council) covering the time period September 1939 through July 1942. Documents the activities of the Judenrat and its complex relationship with the German authorities. Describes day-to-day life in the ghetto with great detail and insight. Includes two lengthy historical introductions, supplemental notes, a map of the ghetto, and an index. A collection of photographs of all aspects of Jewish life in the Warsaw ghetto. Portrays such areas as ghetto administration, forced labor, street and market scenes, beggars, children, the diseased, the impoverished, and the dead. Includes a detailed historical introduction, notes, and an excerpt from Stanislaw Rozycki’s ghetto diary. A collection of primary materials -- diaries, memoirs, essays, articles, and research works -- written by occupants of the Warsaw ghetto and hidden in various places as documentation of the Nazi atrocities against the Jewish people. Covers topics ranging from the activities of the Jewish Council to clandestine social, cultural, religious, and educational programs, economic and medical hardships, forced labor, deportations, and resistance. Includes historical introductions to each section, a bibliography, and an index. A diary written between May and August 1942 by the pediatrician and author who headed the orphanage in the Warsaw ghetto. Records his philosophical reflections and descriptions of ghetto life. Includes a biographical introduction, a list of other staff from the Children’s Home who died in the Holocaust, and a few images. A day-to-day eyewitness account of events in the Warsaw ghetto by the ghetto’s archivist, a social historian who organized a group, the Oneg Shabbath, to preserve secretly a record of life in the ghetto. Documents Jewish activities and Nazi atrocities from January 1940 through December 1942. Includes an historical introduction, a chronology of major events, maps, and an index. Examines the medical conditions and medical services in the Warsaw ghetto. Describes the steps taken to establish a medical system, including a clandestine medical school, and physicians’ efforts to conduct scientific research into the effects of hunger and starvation. Reviews the impact diseases such as typhus and tuberculosis had on the ghetto’s residents and medical community. Includes illustrations, endnotes, a bibliography, and an index. Presents archival film footage held by the Steven Spielberg Film and Video Archive at the United States Holocaust Memorial Museum of various ghettos, including Warsaw and Krakow. 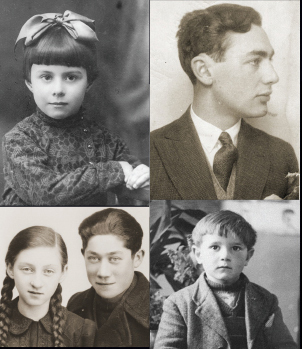 An online exhibition prepared by the United States Holocaust Memorial Museum about the history of the Kovno ghetto. Based on secret archives, diaries, drawings, and writings hidden by Kovno’s Jews before the ghetto’s liquidation. Features numerous photographs, original documents, and drawings. Includes brief statements (in both text and video format) from Holocaust survivors about their experiences in the ghettos. Website of an Israel museum founded in 1949 by Holocaust survivors, ghetto fighters and partisans and devoted to the Holocaust and Jewish resistance. Includes information focused on Janusz Korczak, the head of the orphanage in the Warsaw ghetto, including excerpts from his writings and historical photographs. Also provides a searchable database of partisans and resistance fighters.